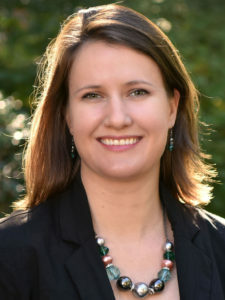 Aubrey Westfall, Wheaton College Assistant Professor, Political Science. The headscarf worn by some Muslim women is becoming a tool of civic engagement. Aubrey Westfall, assistant professor of political science at Wheaton College, explains why wearing a religious symbol freely is an important step in self-expression. Every one of my past and future project connects to a research agenda focused on issues relating to social justice, particularly minority politics and human rights. This description applies to my work on the politics of migration, women, cosmopolitanism and religious minorities. My research engages with quantitative and qualitative methodologies, including several years of fieldwork conducting interviews and focus groups in Europe and the United States. My research on migration policies has been supported by Fulbright and the European Commission. I am a primary author of The Politics of the Headscarf in the United States, published in May 2018. The book investigates the social and political effects of the practice of Muslim-American women wearing the headscarf (hijab) in a non-Muslim state. My co-authors and I argue that women’s experiences with identity and boundary construction through their headcovering practices carry important political consequences that may well shed light on the future of the United States as a model of democratic pluralism. I am continuing to work on projects relating to the political lives of Muslims in non-democratic contexts. Projects currently underway include work on the role of mosques in promoting political engagement and the national and religious identities of Muslim Americans. I am also in the beginning stages of a book project investigating the politics of immigration in Scotland. Tentatively entitled “Jock Tamson’s Bairns: The Post Study Work Visa and the Politics of Immigration in Scotland”, the project explores the political climate around migration at a key moment in Scottish history, sandwiched between the independence and the EU referendum. The central argument is that the particular confluence of political opportunity structures in Scotland provides an opportunity for the expression of distinctly pro-immigrant policy preferences, and that Scottish political elites use immigration policy platforms as a strategic political tool for regional differentiation. For the last six years, I have been engaged in a collaborative research project studying the social and political significance of the headscarf among Muslim women in the United States. Nearly 2000 respondents from 49 states offered us insights on the wearing and perception of the headscarf and about 70 Muslim women in 17 focus groups provided valuable details about their personal experiences wearing the headscarf in the United States. The experiences of those interviewed–most of whom were U.S. citizens–often ran counter to popular misconceptions. For example, while there’s a common assumption among some Americans that Muslim women are forced to wear the headscarf by the males in their family, an overwhelming number of respondents revealed that they chose to do so as an expression of personal and collective religious and cultural identity and an exercise of their civil liberties. The headscarf–a religious symbol—is increasingly becoming a self-styled tool of civil engagement. It is viewed by many wearers as a means to claim their “Americanness” and religious freedom. These women embody a contradiction. They experience a sense of precarious membership in American social and political identity, while simultaneously enjoying full legal protection for their religious practice. The discussions provided a better understanding of the sense of citizenship and belonging among these women—and how they are engaging in citizenship in the United States. It also shed some light on the role of mosques and religious communities in promoting positive political engagement. Our conversations also revealed troubling experiences of frequent discrimination and even occasional violence. Despite this hostility, the degree to which these women are engaging in productive citizenship in their mosques and communities is significant.